If you are interested in wholesaling real estate, you have likely seen advertising for real estate wealth building seminars pretty much everywhere. If you are already in the business, you may have even attended one. While some seminars are giving out good, accurate, and transparent information, others are peddling dishonest or incomplete information shared to make real estate investing seem much simpler and much less costly than it really is. At Enterprise Esquire, clients regularly ask about double dry closings because the seminar they attended recommended that investors use this method to wholesale property without capital. So what is a double dry closing and is it really possible in the State of Illinois? Let’s break it down. First, let’s go through the definition of a “dry” closing. At a real estate deal closing, when it is time to finalize the purchase and sale of a particular piece of property, the “closing” occurs when all terms of the contract have been completed and the purchase price is exchanged for property ownership. However, a dry closing occurs when all other closing requirements are fulfilled except the funds are not readily available. In this situation, either the contract for sale would be breached, because not every part of the agreement was fulfilled, or the parties involved can agree to move forward with the closing process, and funds will be transferred soon after closing. A dry closing occurs when there has been some delay of the funding for a real estate transaction. In a traditional closing, a loan would have been approved and guaranteed ahead of time by a mortgage lender. However, in a dry closing, the funds come a few days or weeks after closing. The seller has not resolved all issues with the property that are conditions of the sale. A dry closing prevents any of these situations from killing the sale. Instead of viewing these failures as grounds for breach, a dry closing in an agreement that the sale will be finalized, and the final details will be resolved shortly thereafter. A wants to sell a property to B. Simultaneously, B is planning to sell that property to C.
Each of these transactions (A-B and B-C) are independent transactions with their own escrow and settlement statements, and title actually does pass from A to B to C. The investor, B, will show up on the chain of title and will be required to pay all costs associated with closing. So, this mythical “double dry closing” that you have been hearing about is a combination of the above two ideas. Sounds great, right? This is how those get rich quick seminars are selling investors in double dry closings. In reality, however, it is not this simple at all. So, Is It Really Possible To Execute a Double Dry Closing in Illinois? Although a double dry closing makes a certain amount of sense in theory, it will not work in the State of Illinois (and in many other states). It may not technically be illegal to complete this kind of transaction, but title companies in Illinois are highly unlikely to insure title under these circumstances. In the past, double dry closings were possible. However, in recent years, title companies have been cracking down on these transactions because they are highly vulnerable to mortgage fraud. Without a title company’s agreement (and the agreement of the mortgage lender involved), the transaction cannot move forward. So is there a solution? Of course! The solution is something called transactional funding. What this basically means is that the investor in our scenario, B, would have to bring their own funds to closing (cash) or use someone else’s cash to close that first deal. B (or the person B borrows cash from to complete the first transaction) would be paid back once the second deal is finalized. Does it sound a little complicated? Let’s break it down again. Transactional funding is basically a short-term lending solution for real estate investors looking to quickly buy and sell property. In fact, it is almost exclusively used in this particular scenario, for wholesaling real estate. This is because the transactions can be completed quickly, and the cash lender can be repaid in short order. In the past, transactional funding was really only available to well-connected real estate investors who had access to private lenders and individuals with plenty of cash on hand. These days, there are some commercial lenders who will work with investors to provide transactional funding. What does this all mean for you, a real estate investor? What it means is, you must be confident in the source of your information, especially when it comes to building a new business. Gathering information and doing your research is great, and you absolutely should learn as much as you can before diving into a new venture. However, it is always important to check your facts. Working with an experienced real estate attorney is the best way to ensure you are getting good information and to build a new business that earns you profits. 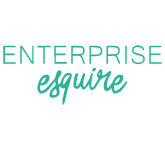 Did you know Enterprise Esquire just launched two new legal services packages especially for real estate investors? Take a look at our new offers here. These membership services are packed with value and make sure you always have a legal advisor on hand to support your real estate deals. Get in contact with us today to learn more!